Here is a contemporary fiction by Jaswinder Singh in today's Book spotlight. You can win a free Kindle copy by entering the raffle copter giveaway with just 2 clicks before 21st of January . The Quest for Integrity, by Jaswinder Singh, is a work of literary fiction dealing in the socio-political climate of modern-day India. A novel of ideas in the spirit of Ayn Rand’s The Fountainhead, The Quest for Integrity pits the heroic Purshottam Gill against the forces of greed plaguing modern society. As Purshottam diligently works to improve performance and raise morale at the Bank of the Nation’s Amlawar branch, his attempts are hindered by an intricate conspiracy involving trade union officials, politicians, and some of the bank’s senior officers, whose ambitions are threatened. Among those who align against the reformer is Neki Lal, whose rise from a life of poverty to become a union leader and vicious attack of Purshottam vividly illustrates how success all-too-often comes to be valued above ethics and morality in Indian society. 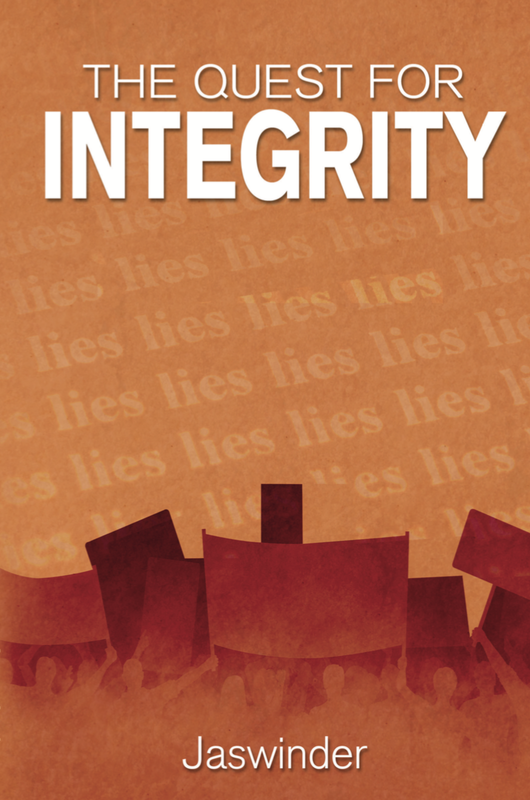 A riveting tale of power, corruption, and the need for social change, The Quest for Integrity is a thought-provoking and inspiring story that illustrates the importance of dignity, morality, and social responsibility. 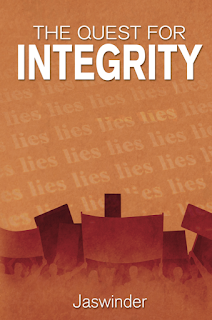 The Quest for Integrity takes philosophical fiction to the cross section between banking and politics, a vicious environment where ambitious rivals use deceit and manipulation as their route to success. Purshottam mused about the crowd below. Well-­‐dressed people shopped in the bazaar—rich people got proper nourishment, good medical facilities, and a good education. They were active and intelligent and therefore more productive. They aspired to and achieved success. The industrialists of Amlawar were well known in the commercial circles of the country and their products, primarily hosiery, bicycles, machine tools, and machinery parts had a reputation for high quality all over the world. Chartered accountants, company secretaries, and engineers contributed greatly to the growth and prosperity of this industrial city. 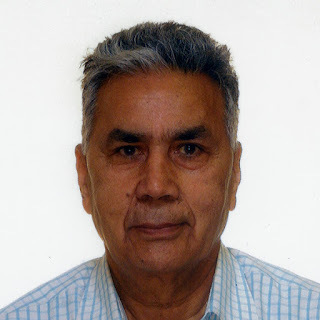 He’d always taken an interest in Amlawar and had spent two years in the city during his college days, fifteen years earlier, when he’d received his master’s degree in English from Government College. Back then, he’d lived in a rented room along with a fellow student. Looking down on the city now, Purshottam thought back to the time he’d once spent in this city and contemplated his future in Amlawar—to spend the next several years here among the fortunate and unfortunate, the good and the bad, the workers, preachers, saints, pickpockets, and armed dacoit thugs. I am now part of this city and all its diversity. I must share my life with people who have different sets of values, who believe in different religions and worship different gods. I will live with and interact with these people, happy or sad, high or low. I am now part of the crowd. Lost in his thoughts, he went back to his room and switched on the TV. A few minutes later, he heard a knock at the door, opened it, and beckoned the visitor inside. Surprised, Purshottam quickly did the math. If the man had come to the city at age sixteen and that was thirty years ago, he must be forty-­‐six. From Ram Chander’s appearance, Purshottam would have guessed seventy. He suppressed a sigh. “What did you do with that money?” Purshottam asked. Though his eyes rested on Ram Chander’s beaming face, for a moment Purshottam pictured a stooped gardener he’d known here during his college days. About ten migrant laborers lived near his room then, and Purshottam often sat and talked with them in the evening. After a year’s hard work, a migrant laborer would be overjoyed when it came time to go back home on vacation. He’d dress in his best clothes and spend his entire year’s savings on gifts for the family. Bicycles, radios, and watches were important possessions and made the families happy, at least for a while. All workers aspired to buy at least one such treasure after a year of hard work. $139.99. An ordinary day laborer could buy a bicycle, a radio, or a watch from two days’ pay. What was the difference between laborers in the United States and these laborers? Was it a difference in productivity, or could it be some kind of exploitation? Or was it merely fate? either. He went to bed, then found it difficult to sleep. Jaswinder Singh worked as a senior manager of a bank in India for over eighteen years. He holds a Master’s Degree in Mass Communication and Journalism, and currently resides in Edmonton, Canada. His debut novel The Quest for Integrity was published in November 2015 and is available for sale on Amazon. Readers can connect with Jaswinder Singh on Facebook, Twitter, and Goodreads.